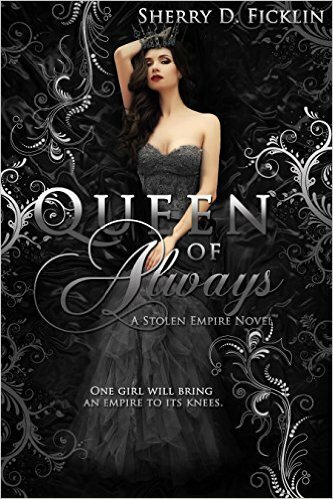 Queen of Always is the third book in the Stolen Empire series by Sherry Ficklin. It is a YA historical fiction based on the life of young Catherine the Great, one of the most dynamic women in history. SUMMARY (from back): If her time at court has taught Catherine anything, it’s that there is no room for weakness in Imperial Russia. With the Empress’ health failing and rumors of a change in the line of succession, her place in the royal line is once more in jeopardy. Tormented by her sadistic husband and his venomous mistress, Catherine must once more walk the fine line between pleasure and politics—between scandal and survival. If you follow my reviews, you’ll remember the one I posted on Aug 21st in which I discussed the brilliance of the first two books in the Stolen Empire series by Sherry Ficklin. In this third and final installment, Catherine approaches the world realistically, no longer the naive pawn Peter would hope her to be. In this book, I found Catherine stronger than most women, forced to be that way because of her situation as the despised wife of the most powerful man in Russia who openly flaunts his mistress before the royal court. But Catherine does not allow the pity that so many must have viewed her with to undermine her confidence. Never! For she understands how precarious her position is. She has no preconceived notions that if she is dismissed, not only will her life be in jeopardy, but so too will her son’s life. But with Peter behaving so erradically and meniacally, he threatens to turn the Russian court against himself and his family. I can’t imagine myself having to endure all she did. I question whether I could have sucked it up or whether I would have become a weeping mess, pitying myself. I grant that facing the death of your child probably had her view her situation in a very different and very clear light, something no one today faces. Ficklin did a brillaint job of helping the reader idenity with Catherine the Great despite how removed in time and culture she is from us today. Well done! MY RATING: 5 of 5 stars! Glad you liked this review so much 🙂 I hope you enjoy the series. I agree. It does sound like a wonderful series. I, too, love historical fiction. Great review. I’ll need to add this book to my “to read” list. Aw, thanks 🙂 I hope you enjoy.